"Supramolecular Architectures for Ruthenium Water Oxidation Catalysis" is the title of Professor Frank Würthner’s new research project. The European Research Council (ERC) has now approved an Advanced Grant for Würthner in the amount of EUR 2.5 million to this end. Frank Würthner holds the Chair of Organic Chemistry II at the University of Würzburg and heads the Center for Nanosystems Chemistry (CNC) established in 2010. He is one of the founders of supramolecular materials chemistry and develops supramolecular polymers and nano-materials based on functional dyes for organic electronics and photovoltaics applications. Following successful research on converting sunlight to electricity (photovoltaics), Würthner has also experimented with dye-based materials that are capable of producing fuels such as hydrogen with the help of sunlight since 2012. This is also the subject of the project now funded by the ERC. "Following the natural blueprint of photosynthesis, the production of fuels requires not only light-harvesting systems but also catalysts for the reductive and oxidative half reaction in order to split water molecules into hydrogen and oxygen," Frank Würthner explains. According to the chemist, the oxidation as a four-electron process is considered particularly tricky. 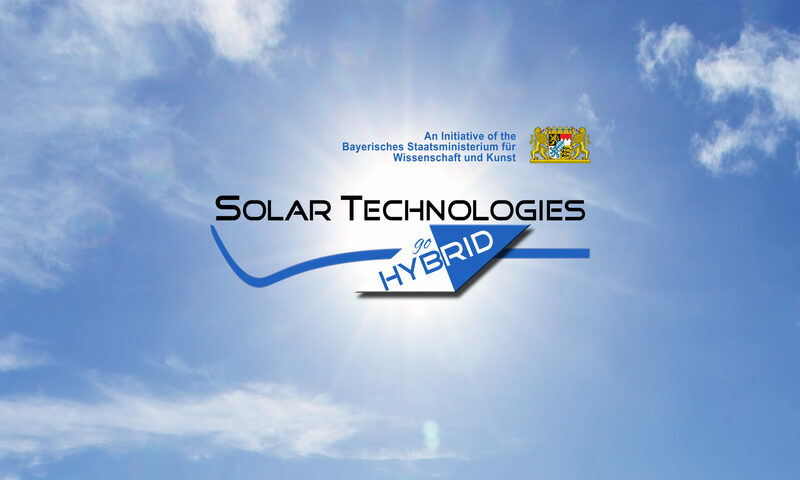 Since 2012, Würthner has been working on this reaction within the scope of the Bavarian research programme "Solar Technologies Go Hybrid". For this purpose, the "Supramolecular materials for solar energy conversion" key lab in the Center for Nanosystems Chemistry was fitted with the required technical equipment funded by the Free State of Bavaria. Two years ago, the chemists were able to report their first breakthrough: Using three ruthenium catalyst centres interacting in a macrocyclic architecture, the researchers successfully catalysed the proton-coupled electron transfer. The system they designed thus works similarly to the natural photosystem but faster. Würthner and his team reported on their breakthrough in the journals Nature Chemistry and Energy & Environmental Science in 2016 and 2017. Based on these findings, the scientists wrote the application for an ERC Advanced Grant. "We now want to advance the highly effective interaction of spatially proximate ruthenium centres in macrocyclic supramolecular architectures, which we discovered by chance, to obtain technically feasible materials," Würthner says. Besides macrocyclic architectures, the researchers want to synthesise larger polyhedra, metallosupramolecular polymers and porous solids and optimise their catalytic activity. The scientists’ long-term objective is to couple the oxidative half reaction implemented with these materials with light-harvesting dye assemblies and reduction catalysts that release hydrogen. "In contrast to the well-established conversion of solar energy to electricity, this would also enable the direct conversion to hydrogen as a chemical energy carrier which would also be of great use as a raw material for the chemical industry and as fuel," Würthner continues. Frank Würthner has received multiple awards as a scientist. Since 2014, he has regularly been on Thomson Reuters’ list of "highly cited researchers". The US media company awards this title to researchers whose work receives exceptional attention worldwide and is highly cited by scientists. In the past years, he received the Elsevier Lectureship Award of the Japanese Photochemistry Association and the Elhuyar–Goldschmidt Award from the Spanish Royal Society of Chemistry. Only a few weeks ago, he accepted the Ta-shue Chou Lectureship Award in Taiwan, one of the most prestigious awards in organic chemistry in Asia. Moreover, he is a member of two renowned academies, the Bavarian Academy of Sciences and Humanities and the German National Academy of Sciences (Leopoldina). The European Research Council (ERC) awards its Advanced Grants to excellent scientists who have established themselves in the research community through extraordinary achievements. The prize money is intended to promote innovative projects. The European Research Council recently announced that it gave its coveted grants to 269 researchers in 2017. The ERC had received 2,167 applications – which corresponds to a success rate of twelve percent. The grantees are from 20 countries. Most projects are carried out in the UK (66), Germany (42) and France (34).